Stage I has given me a 20% improvement in mileage! I posted last week after my first full week of Stage I driving & noted a 10% increase in gas mileage over my best EVER previously (to 22.8 mpg). Well, week 2 has given me an even better feeling-- 25.8 mpg for THIS tank (that is 5 mpg better than the car's average and 4 mpg better than the best I EVER logged!!). And again, no light pedaling -- full throttle starts, 80+ mph freeway cruising, traffic, etc. Damn I love this thing. . .
OK . . . I've been waiting for just one more RAVE review of the Stage 1 before I order one. Now you did it. I'll be ordering mine Monday. Where is the best place to order for BOTH price and availablility? Is your GT manual or autostick? i would love to put the stage 1 in also !! So would a lot of us if they would warranty their parts! For reference, mine gets between 20 and 25 mpg (over 6k miles now). Long distances this weekend, got 25 mpg - very next tank got 20. Depends on drive cycle and how much crap I'm carrying around. 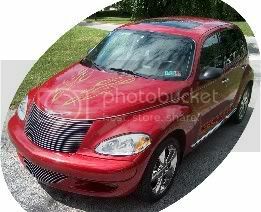 Steve - I ordered mine from 1st Chrysler - www.1stchryslerparts.com - I found it to be the lowest in price. I ordered mine 10 days ago and delivery is scheduled tomorrow. GLH: It is a 5-speed. Sorry for the delay in replying. GTSteve, you might also get a price from tthrift (he posts here alot). I ordered my S1 (and later the BOV) from him--couldn't ask for better customer service.